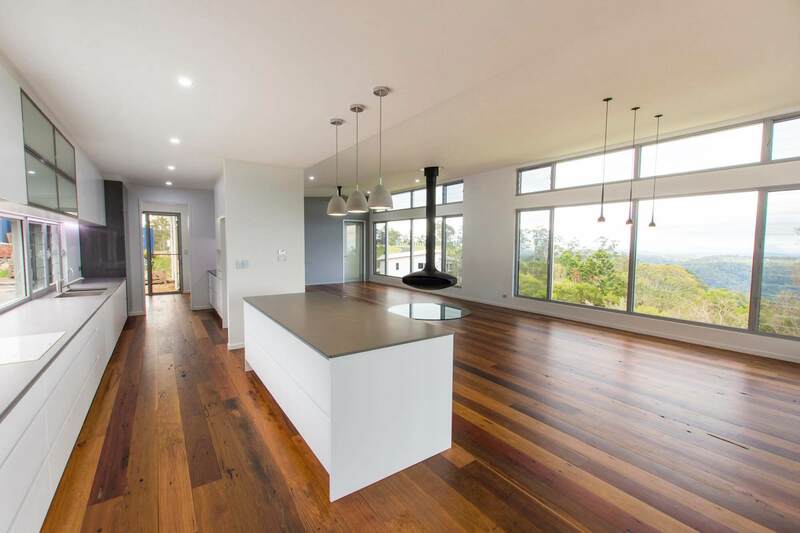 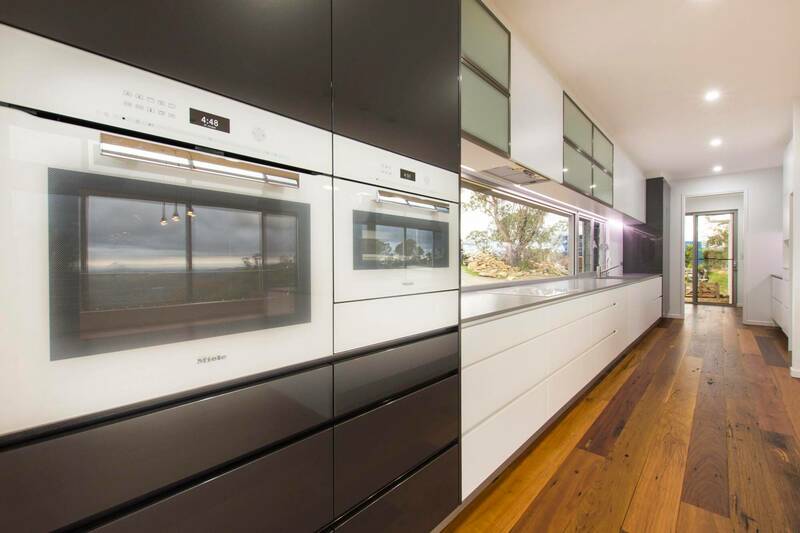 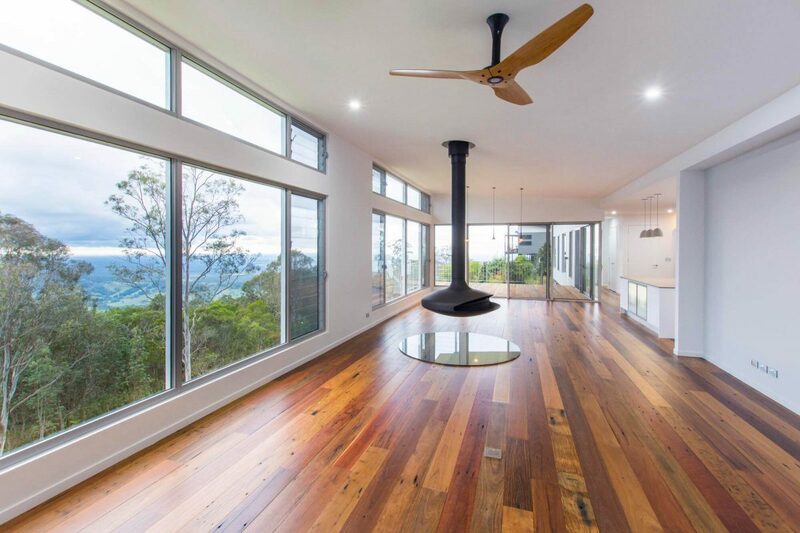 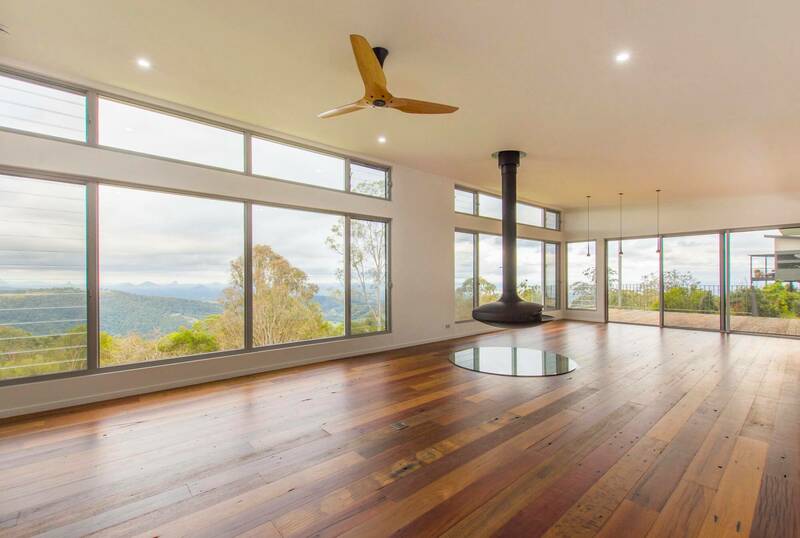 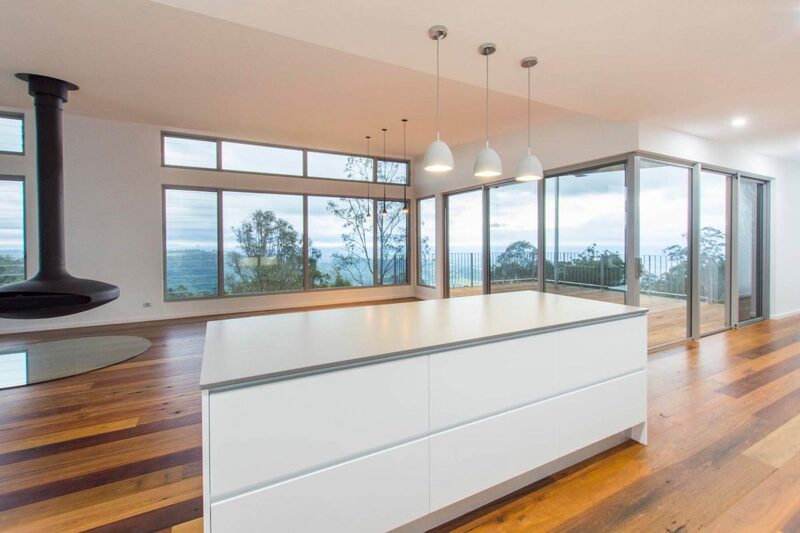 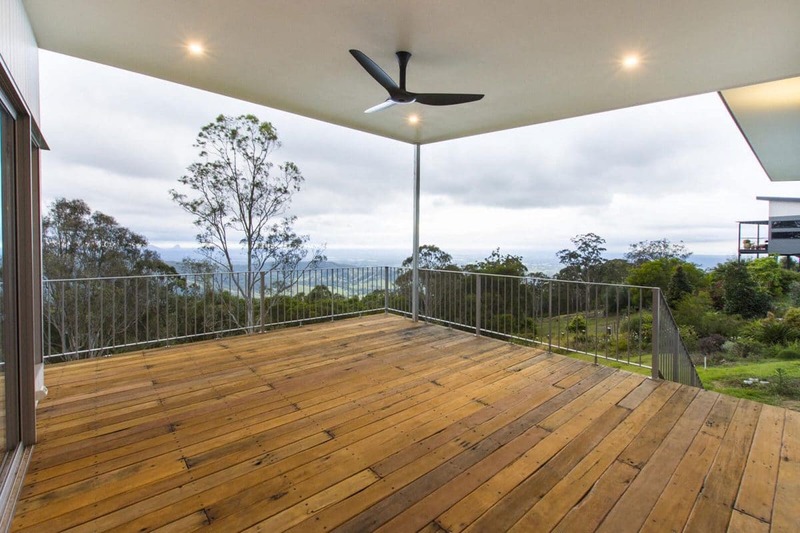 "This home is perched high on the ridge at Ocean View, with an ideal aspect to the north and amazing views of the Glass House Mountains and ocean to the east." 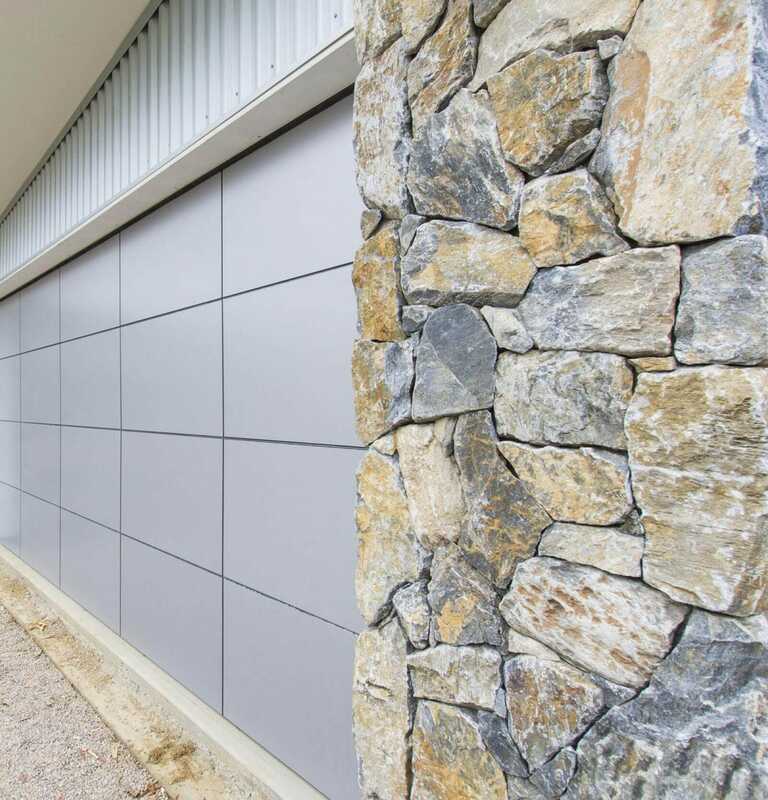 As the site falls away steeply from the road, the planning needed to cope with getting cars off the street and manage the suspended floor construction on the slope. 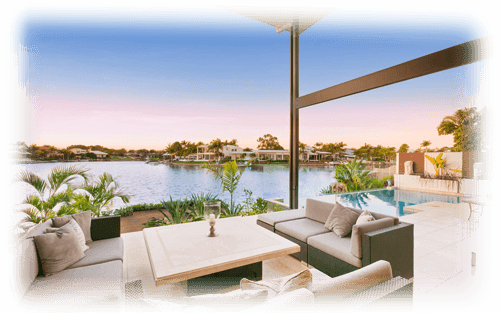 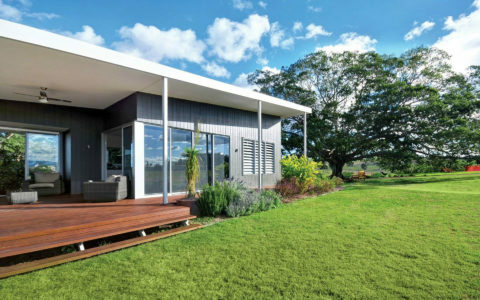 This design works with the contours and makes the most of a long north-facing pavilion, with full height glass to the length of the home. 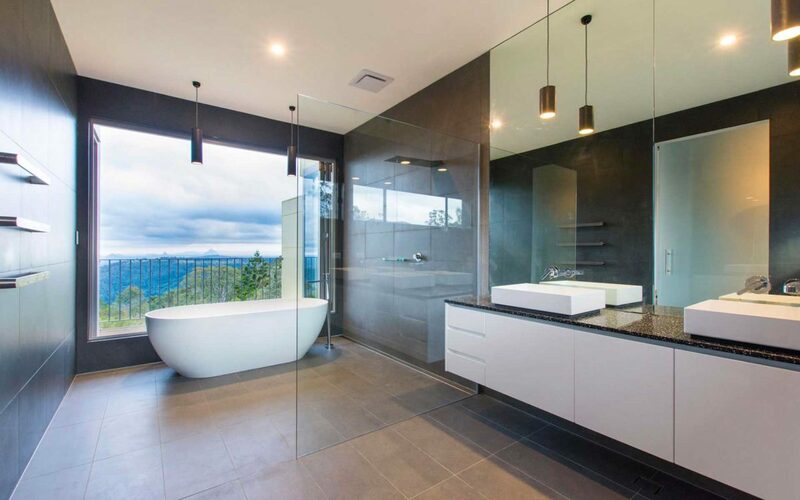 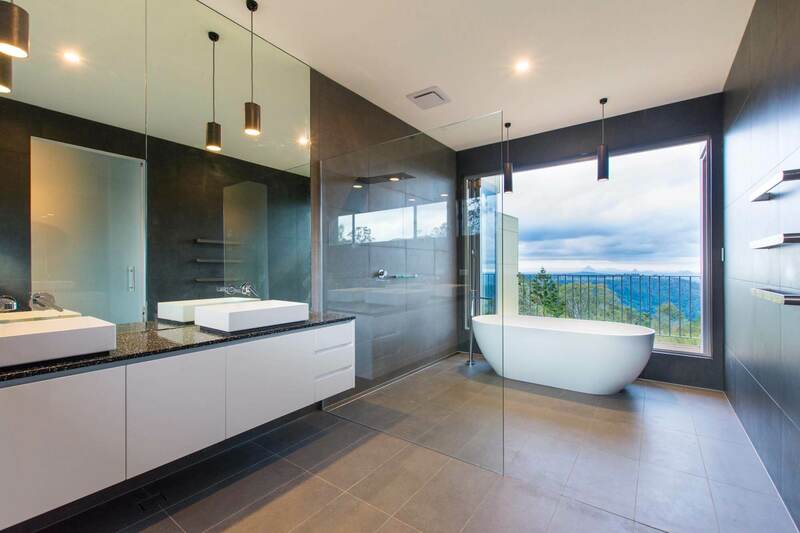 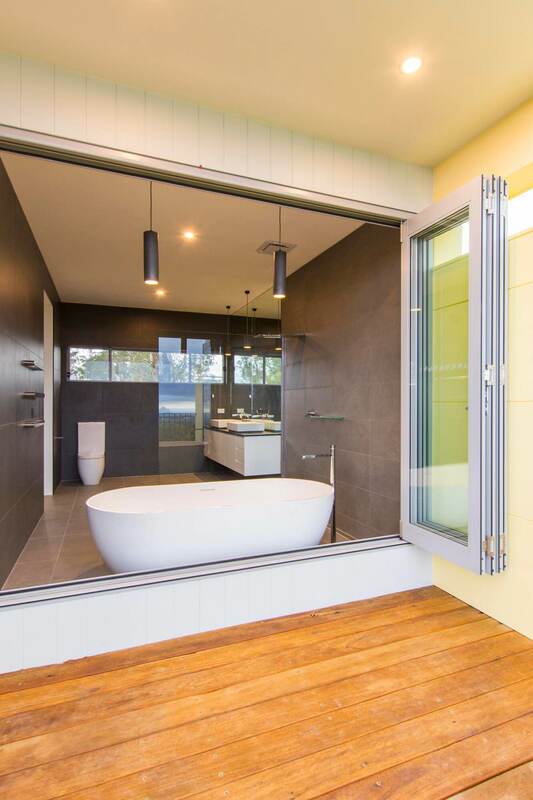 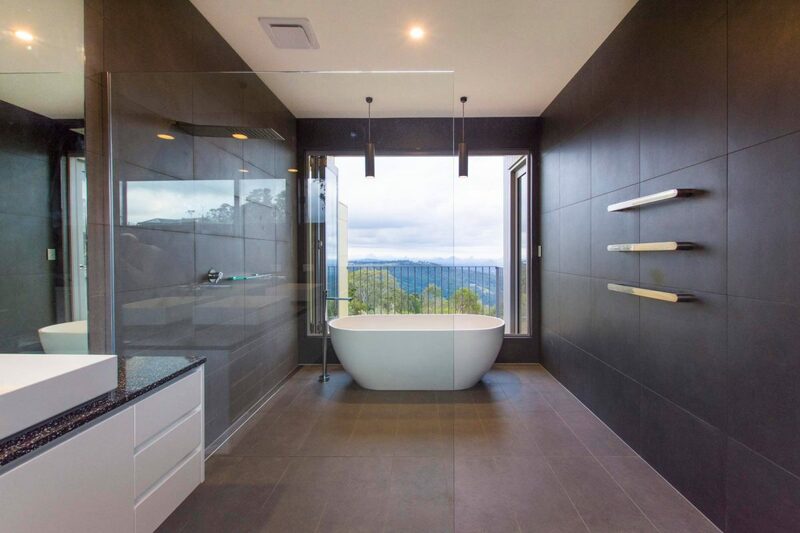 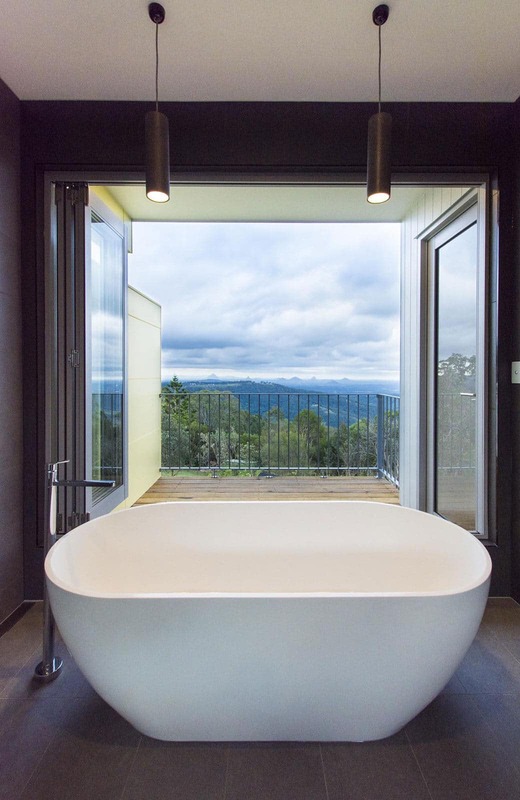 The ensuite is more than just a place to shower, the free standing soaker bath opens to a private deck and gives the perfect location to take in the view and soak away any worries. 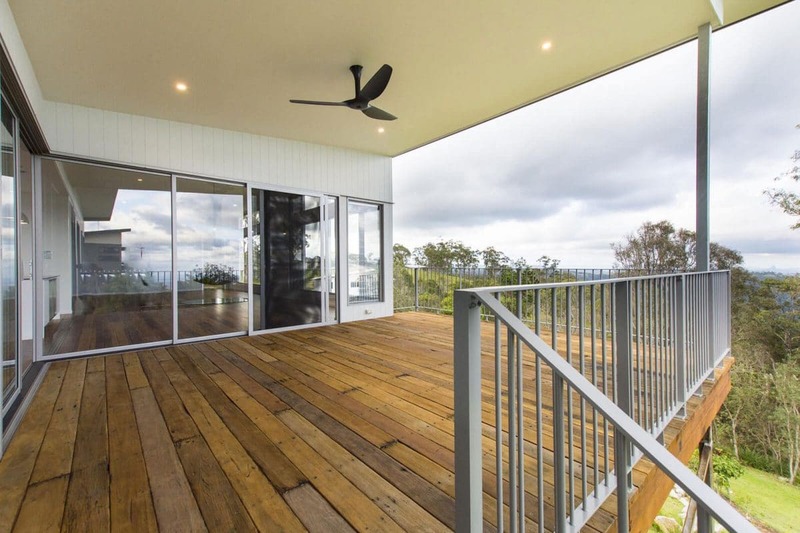 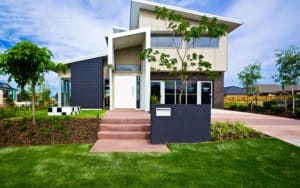 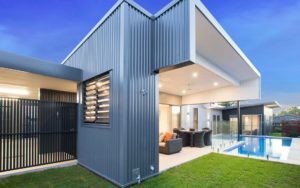 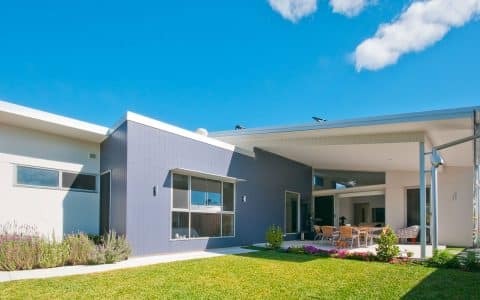 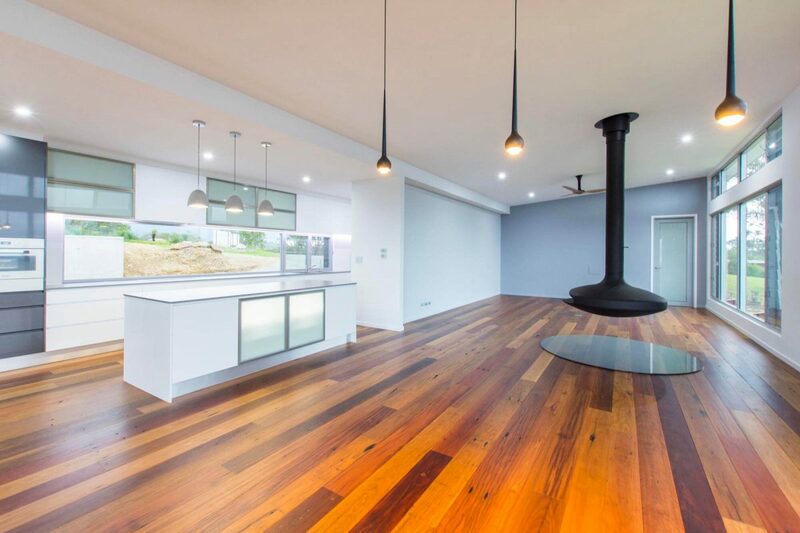 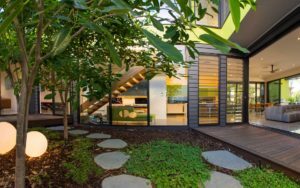 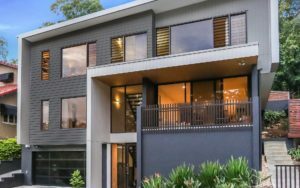 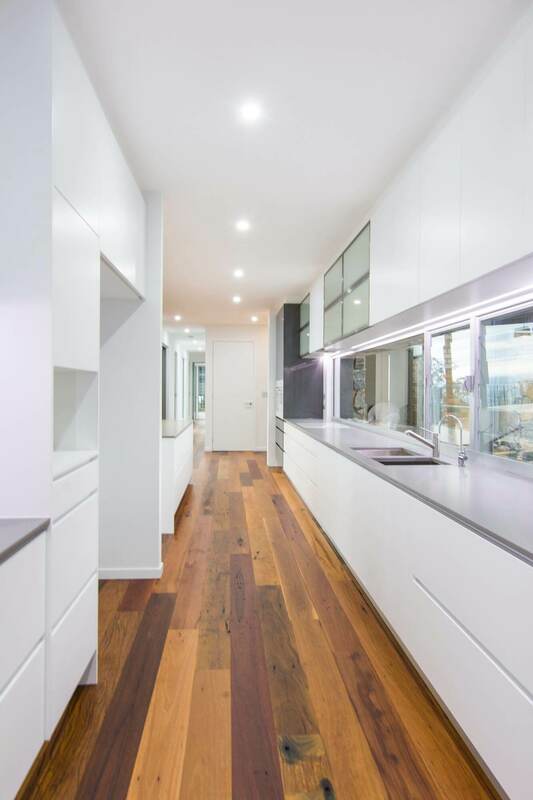 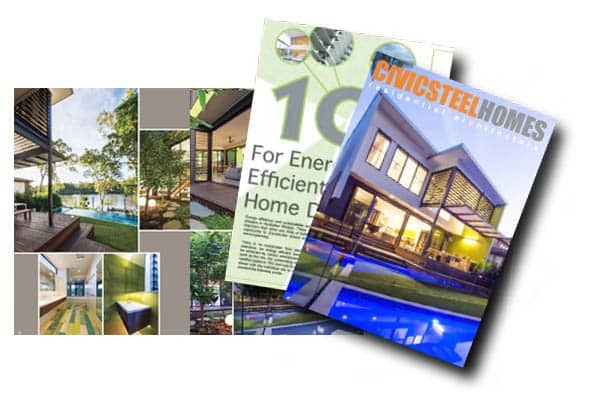 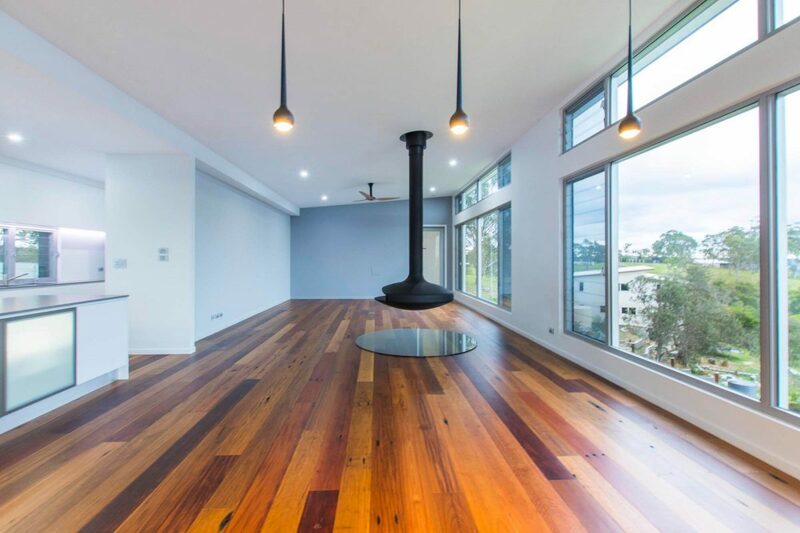 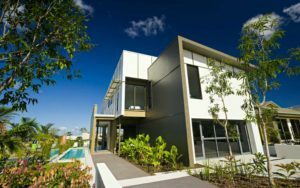 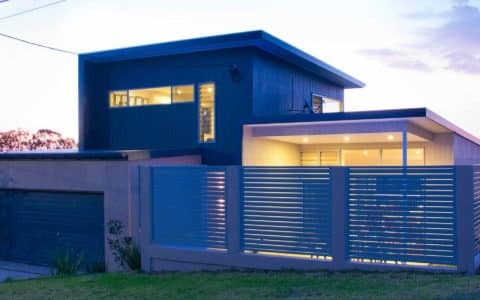 Some special natural materials were also incorporated in this home including recycled timber to the living areas and deck, and natural stone cladding to the south.